Paul Gascoigne has dismissed suggestions he was drunk during an apperance on Soccer AM, saying sleeping tablets were the cause of him having to leave the show early. 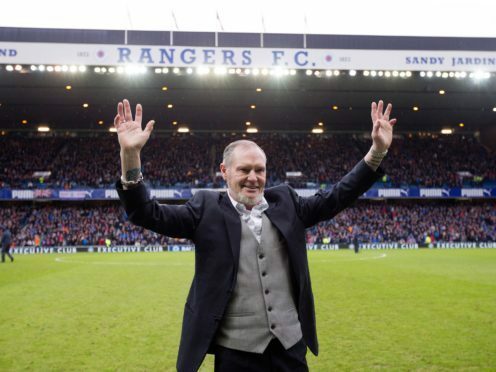 The former footballer, fondly known as Gazza, was a guest on the Sky Sports show and made an early exit. Presenter John Fendley told viewers: “Gazza was here earlier. Gazza’s not feeling wonderful, he’s not too great so he’s left us. We’ll catch up with you very soon Paul, all the very best mate”. The 51-year-old later tweeted to explain his absence, saying he was unwell due to taking sleeping tablets. He tweeted: “Ha just read some of the tweets some say I’m looking well others say it’s the best they’ve seen me and others are saying i was drunk it’s every time I’m doing well that’s ok I been taking sleeping tablets to try kip that all love GAZZA xxxx”. Viewers had expressed concern for his wellbeing on social media during his Soccer AM appearance, but rushed to support him following his tweet. One fan tweeted the star saying: “I’m a gooner Gazza but you are a true legend, ignore the idiots, stay positive, take care x”. Another tweeted: “Good to see you’re doing well Gazza, you look great and are simply a legend”. The former England and Tottenham midfielder has previously battled alcohol addiction and announced in January 2017 that he had gone into rehab.